As soon as we see Reindeer we immediately know that it’s Christmas. They are the number one Christmas animal and it wouldn’t be the festive season without them. Of course, the Reindeer that will instantly spring to mind is Rudolph and as children we are told magical stories of the amazing flying Reindeer that guided Santa Claus with his glowing red nose. Just the image of the Reindeer on these e Christmas cards for business will entice all of those childhood memories to come flooding back and you’ll be filled with instant warmth that only Christmas can create. 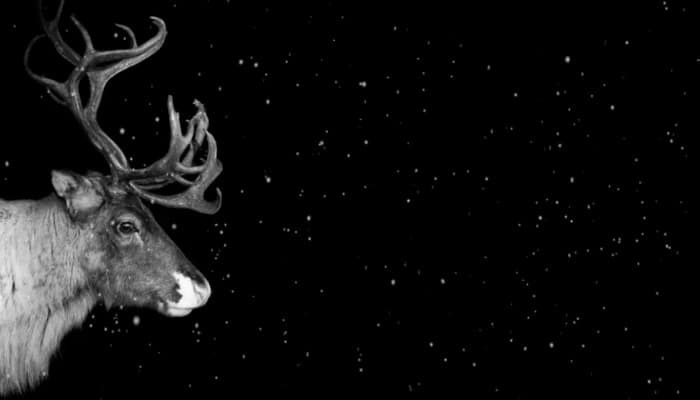 The corporate Christmas ecards feature a beautiful Reindeer standing proud against a black back drop. Nothing else is needed because the animal is majestic on its own. There is something special about this creature and the receiver of this card will see it as soon as opening it. You are able to choose your own preferences to go along with this card so you can really get your message across. Wish a happy Christmas to your business associates with ecards that stand out from the rest. There are lots more designs to choose from in our Christmas section.